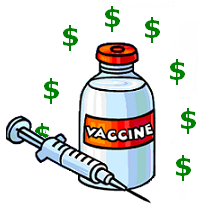 Unfortunately it is very profitable for the drug industry to get the medical profession to promote vaccines to the general population. Drug companies are corporations and they do not have a duty to “do no harm”. Their only duty is to make money and “mitigate” any liability the company might be forced to deal with in a court of law. And since the Supreme Court decision in 2011, Bruecewitz versus Wyeth, they have been exempted from all liability regarding their vaccine products. It is important the public doesn’t forget this as it is very unlikely your physician or anyone who works for public health will remind you of this reality. Propaganda (‘spinning’ the facts to conceal the truth) disseminated by the corporate mainstream media!! The following articles demonstrate that the Center for Disease Control (CDC), the World Health Organization (WHO) and Big Pharma have been completely corrupted and do not serve the best interests of the public. This has been ongoing for many years. Perhaps, since the inception of the CDC itself. In June 2000, a group of top government scientists and health officials gathered for a meeting at the isolated Simpsonwood conference center in Norcross, Georgia. Convened by the Centers for Disease Control and Prevention, the meeting was held at this Methodist retreat center, nestled in wooded farmland next to the Chattahoochee River, to ensure complete secrecy. The agency had issued no public announcement of the session — only private invitations to fifty-two attendees. There were high-level officials from the CDC and the Food and Drug Administration, the top vaccine specialist from the World Health Organization in Geneva and representatives of every major vaccine manufacturer, including GlaxoSmithKline, Merck, Wyeth and Aventis Pasteur. All of the scientific data under discussion, CDC officials repeatedly reminded the participants, was strictly “embargoed.” There would be no making photocopies of documents, no taking papers with them when they left. The federal officials and industry representatives had assembled to discuss a disturbing new study that raised alarming questions about the safety of a host of common childhood vaccines administered to infants and young children. According to a CDC epidemiologist named Tom Verstraeten, who had analyzed the agency’s massive database containing the medical records of 100,000 children, a mercury-based preservative in the vaccines — thimerosal — appeared to be responsible for a dramatic increase in autism and a host of other neurological disorders among children. “I was actually stunned by what I saw,” Verstraeten told those assembled at Simpsonwood, citing the staggering number of earlier studies that indicate a link between thimerosal and speech delays, attention-deficit disorder, hyperactivity and autism. Since 1991, when the CDC and the FDA had recommended that three additional vaccines laced with the preservative be given to extremely young infants — in one case, within hours of birth — the estimated number of cases of autism had increased fifteenfold, from one in every 2,500 children to one in 166 children. In a laughable attempt to recover credibility – while the truth keeps leaking out – the propagandists have come up with a new strategy: just tell it like it is [ISN’T] . . . and remind folks to get their flu shots! Oh, and “trust your leaders”! Sure, the same ones that covered up the JFK murder, the Gulf of Tompkin, the demolition of Building 7 on 9/11 and the non-existent “weapons of mass destruction”. 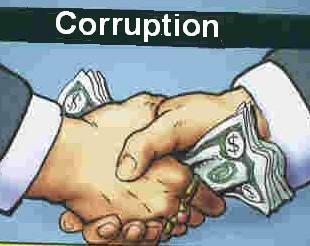 Folks will never find the truth coming out of either the mainstream media OR the criminal Center for Disease Control. A PLAN OF ACTION TO EXPOSE AND OPPOSE A FAKE PANDEMIC VACCINATION/ISOLATION CAMPAIGN! For years some of us have been watching the ongoing efforts of the globalists to roll out a pandemic. In 2009 they attempted to launch a global pandemic vaccination program for the H1N1 swine flu, which ended in a disaster for them. See: Pandemic Pandemonium and Profiteering. ParentsAgainstMandatoryVaccines.com is just one of many [orgs, groups] tracking this effort and monitoring the activities of the Center for Disease Control and the World Health Organization. Three web sites in particular have already started reporting the facts regarding this nefarious agenda: NoMoreFakeNews.com, TruthSector.com, and EbolaGate. Parents Against Mandatory Vaccines has established a seven step response to this false flag ebola campaign. All are most welcome to review and utilize this information as they see fit. It is important that we educate ourselves so we cannot be manipulated by fear . . . as has been done to us so many times before. Recognize that for many reasons, including the establishment of a BRICs economic alliance, the US petrodollar is faltering. The ebola card is most likely being played now as a distraction to that fact and the potential economic carnage this change might cause. Do Not Consent to be vaccinated or forced into isolation. Review the info and print out a Pocket Card Notice of Non-Consent to carry with you. Don’t allow your critical thinking skills to be neutralized by fear. Remember, that is their goal and that is how those that wish to control the planet have successfully manipulated us before . . . many times. Schedule time for joyful experiences and walks in the park. Those in vaccine-aware organizations have exposed and stopped pandemic agendas before and if we all take this threat seriously, we can do it again. Hopefully we can also cause irreparable damage to the credibility of the CDC so they can no longer manipulate us, scare us, and threaten the health of ourselves and our children . . . ever again.